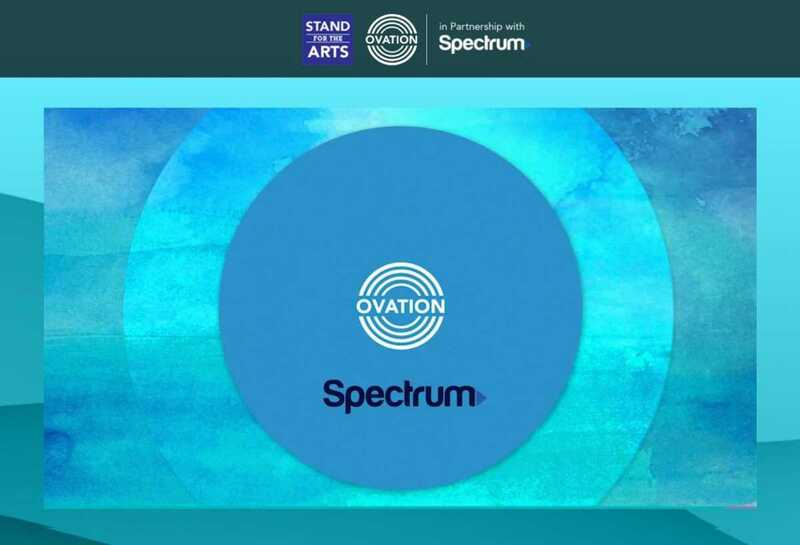 Los Angeles and New York – October 11, 2017 Ovation, America’s only arts network, has partnered with Spectrum for the inaugural Ovation+Spectrum Stand for the Arts Awards initiative. As part of the partnership, Ovation will contribute $60,000 to support local arts, cultural, and educational organizations in six Spectrum markets: New York City, Los Angeles, Austin, Columbus, Syracuse, and Raleigh. The announcement was made by John Malkin, Executive Vice President, Content Distribution, Ovation and Adam Falk, Senior Vice President, Government Affairs, Spectrum. Throughout October and November, the awards will be presented to the recipient in each market by representatives from both Ovation and Spectrum. State and local government officials as well as members of the local press will also be invited to attend. Spectrum will air public service announcements highlighting the partnership with Ovation and the value of local arts organizations in their communities. Groundswell brings together artists, youth, and community organizations to use art as a tool for social change, for a more just and equitable world. Their projects beautify neighborhoods, engage youth in societal and personal transformation, and give expression to ideas and perspectives that are underrepresented in the public dialogue. The team at CNY Arts believes that a healthy arts industry is essential to the quality of life and community in Central New York. Their programs connect the public to a rich local array of arts and cultural opportunities. No matter the role- whether artist, audience member, participant, venue, educator or supporter- CNY Arts empowers stakeholders to create and experience the arts throughout Central New York, in every town, city, neighborhood and school. Creative Action is a nonprofit, arts-based, youth development organization that provides fun, hands-on creative learning programs in the classroom, in after school settings and in the community. Whether youth are creating original films, painting murals, or performing original plays, these programs use the creative arts to actively engage students in exploring age-appropriate social issues, building appreciation for diversity, and learning how to make a positive difference in their communities. Artspace is a visual arts center inspiring innovation through opportunities to experience the creative process and engage with artists. Artspace is a widely known and highly valued non-profit visual arts leader in the Southeast. It is a locus of opportunity for the curious of all ages where innovation and creativity are explored, experienced, shared and celebrated. OASIS positively impacts youth through replicable arts mentoring programs enhancing the skills of local artists through community engagement. OASIS believes that the arts have the power to inspire a generation of youth to fulfill the highest level of life achievements through discovery and development of their natural creative gifts. Art has the power to inspire us, elevate our thinking, and awaken our senses. As an independent television, production and digital media company, OVATION has an unparalleled commitment to the arts, culture and captivating entertainment. Showcasing a lineup of critically-acclaimed premium dramas, arts-related specials and documentaries, and iconic films, OVATION salutes innovative storytelling, lives for the art in entertainment, finds beauty in the everyday, and applauds art in unexpected places. OVATION is available to nearly 50M subscribers via cable, satellite and telco systems including Xfinity from Comcast, AT&T/DirecTV, Spectrum TV from Charter, Verizon FiOS, as well as on VOD. Through THE OVATION FOUNDATION, the company is committed to advocating for the arts, nationally and locally, and has provided more than $15M in contributions and in kind support to arts institutions and arts education. You can follow OVATION on Facebook, Twitter, YouTube, Pinterest, OvationTV.com, and through our App, OVATION NOW.